Once again, the call is going out for marketers to add more on-site storage capacity to help the industry cope with peak demand periods. Logistical problems in the Northeast fanned price spikes and forced some marketers to short-fill customers to ensure that routes could be completed. With winter set to give way to spring, stocks drawn down over the past few months were being replenished with a wary eye still cast upon the weather. On the Gulf Coast, the impact of a February snowstorm of Texas-sized proportions said to be the worst in more than 20 years may be exacerbated by heavy draws from the petrochemical industry. “They might have some problems by the end of the heating season,” reports David Hinton, a petroleum industry analyst with the U.S. Department of Energy’s Energy Information Administration. Supply was tight even prior to the Texas storm. “When you get down to those low levels you get brine and other problems,” Hinton notes. According to the EIA, the average wholesale price of propane on March 1 was hovering at 74.9 cents per gallon, a decrease of 39.9 cents from the 114.8-cent price one year ago. The weather picture throughout the country remained fluid all winter, and industry wholesalers were reluctant to offer spring pre-buy pricing predictions. “That’s a good one!” an executive mused. “They should get out of the business,” joked another. “Can you tell me what the weather is going to do?” was a challenge heard more than once. Fill ‘er up if the wholesale price dips to 50 cents a gallon, suggests D.D. Alexander, president of Global Gas Inc. Based in Englewood, Colo. Her company serves 21-states from Wyoming eastward to the Atlantic coast. Charting the ebb and flow of cost figures can signal opportune times to start buying. “We react when prices start to move,” reports Jim Bishop, president of Bishop Energy in Gainesville, Texas. Gulf Coast pricing was expected to remain stable, according to Bishop, who made his prediction before the Texas snowfall. “We never know enough to outguess what the situation is. We find out about things after the fact, and nobody knows what the inventories will be,” he points out. “If we don’t have an abnormally cold period between now and the end of the season we should have plenty of product,” says Mike Van Winkle, manager of propane marketing for Aux Sable Liquid Products of Morris, Ill.
Rail car delays of two or three days were experienced in New England as treacherous road conditions kept engineers and conductors away from the yards. 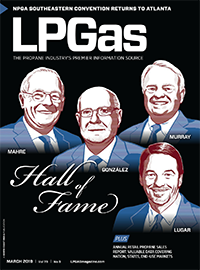 “The biggest problem was getting personnel to the trains because they were stuck at home,” says Mike Caldarera, manager of regulatory and technical services for the National Propane Gas Association. Railroad executives report an 86 percent switch rate, which is considered a positive ranking, he says. 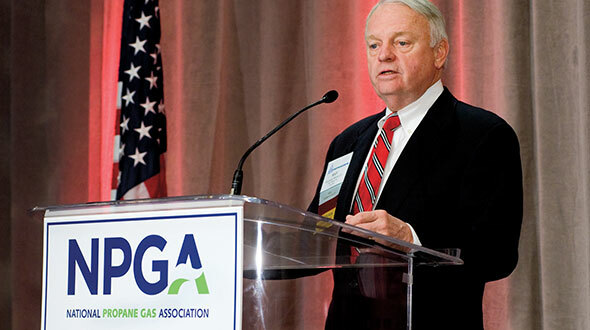 Sixteen propane marketers participated in an industry question-and-answer conference call hosted by the NPGA in early February. 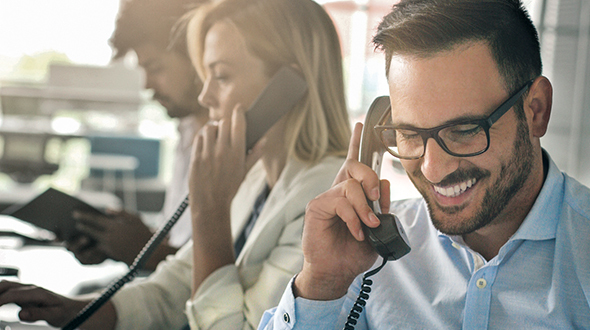 Caldarera notes that previous years have seen a much larger volume of callers; some seasons have induced more than 40 marketers to take part. Global’s experiences in supplying customers in the Northeast this winter were fraught with delays, bottlenecks, pipeline shutoffs, long lines, traffic tie-ups and other calamities. “We had all of the above,” Alexander ruefully recalls, pointing to an overall lack of adequate infrastructure in that area of the country. “The transportation issue in the Northeast is going to be a problem for years to come,” she says, adding that her company has a proprietary proactive plan in place to enhance Global’s supply chain. Marketers can ease pressures on themselves and the distribution system by adding more storage capacity, according to Alexander. Get out a map and ruler to aid in the decision process. “The farther away you are from your supply point the more important it is to have it on hand,” she says. 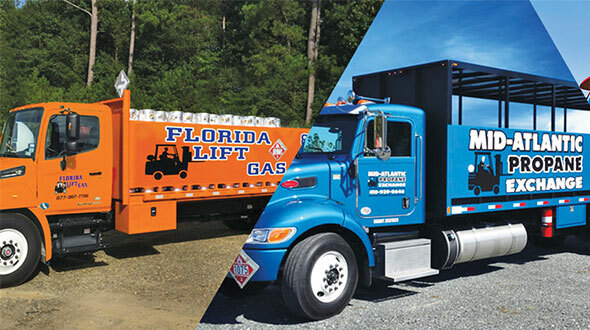 As consolidation sweeps through the industry, excess propane plants in any given town are being dismantled and the components sold on the open market. Alexander says smaller operations should be buying these used tanks to augment stockpiling strategies. Next winter the industry could see more tandem transport teams as hours of service regulations spur split shifts at the wheel. 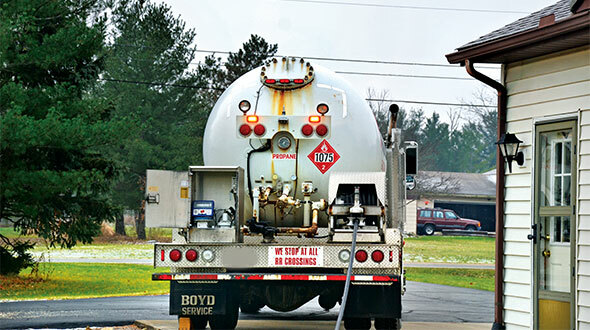 While waivers to the rules were being granted this year by almost 20 states and the District of Columbia, there were still numerous occasions where a driver’s allotted hours were exhausted while the tanker was still waiting in line at a terminal. “The hours of service are hurting this industry more than anyone anticipated,” Alexander contends. “It seems to help when you have two drivers on” the transport rigs. In addition to the cost of doubling up on drivers, finding qualified operators may become more difficult as tightened Homeland Security regulations may prompt many to choose less hazardous cargoes to haul. A malfunctioning valve on the TEPPCO pipeline near Davenport, N.Y. shut off spigots for a week in late January at the Selkirk and Oneonta terminals. The faulty valve assembly caught fire and the resulting explosion destroyed a house. No serious injuries were reported, but residents in a half-mile radius were temporarily evacuated. Investigations by several agencies are ongoing; the problem valve has been shipped to a third-party metallurgist for analysis. The incident, which garnered heavy coverage from local news outlets complete with roundups of previous propane accidents, began on a Sunday. Before repairs could begin on Wednesday, some 5,000 barrels of propane under 900 pounds per square inch of pressure in 17 miles of closed-off pipeline had to be burned-off. At the Oneonta terminal, new loading equipment greatly assisted TEPPCO’s efforts to speed the flow of propane once the line was running again, according to David Williams, the company’s manager of propane services. Previously the rack could fill one truck every 45 minutes; now three trucks can be loaded in an hour. “It significantly reduced the time in line,” Williams says. Meanwhile, propane buyers had to find other sources of product. Trips were made to facilities in Providence, R.I., Portsmouth, N.H. and Quebec. Among other sites, Global was able to procure propane in Coshocton, Ohio. The price being paid by American distributors had ocean-going vessels pleased with the opportunity to market their cargoes, Tracey says. 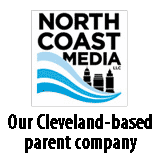 The Northeast saw record levels of usage, a situation made more intense by sidetracked rail cars and the TEPPCO interruption, according to Tracey.